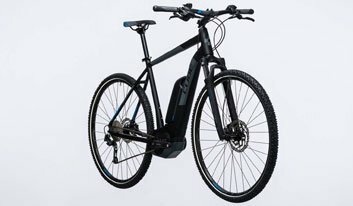 Our e-bikes are characterized by their light weight (20kg without the battery installed) and their ability to ride in varying terrain. 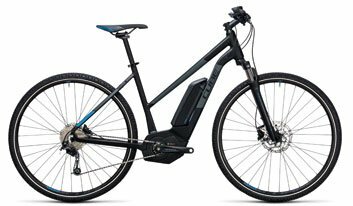 This model is fitted with a performance motor, the most advanced e-bike motor on the market. The range of the 500 WH battery is noticeably better than that of the previous model; Delhi Hybrid Pro 400. The 9 gears are perfectly in tune with the motor and are easy to operate. We offer a trapeze frame for all guests up to 179cm, and a diamond frame for people 185cm+ (see frame types displayed). 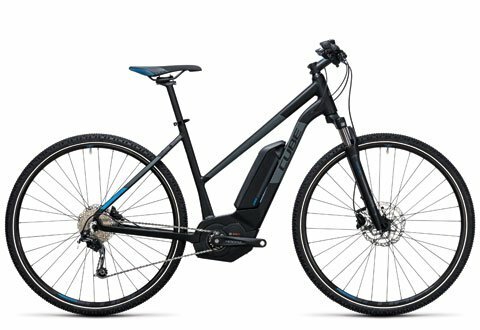 The Cross Hybrid Pro 400 is a bike for all reasons – an e-bike that’ll reliably accompany you on all your cycling adventures, whether they’re long rides, day-to-day use or simply a relaxed trundle in the countryside . 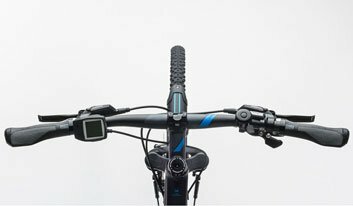 Applying everything that CUBE learned from building e-tour and e-MTB bikes, their engineers developed an all-new gravity casting to house the motor and battery units. Not only does this put the motor in the best possible position for efficiency and allow the battery to be recharged without removing it from the frame, but it also looks good and is immensely stiff and light, too. Because of our special circumstances our bike and boat tours we benefit from the internal cable routing for reducing maintenance plus built-in rack and kickstand mounts. 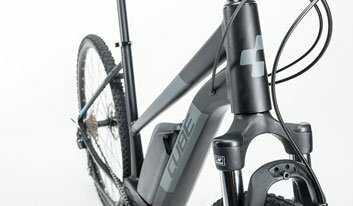 And, of course, the low weight and confidence-inspiring handling are exactly what you’d expect from CUBE. The Cross Hybrid Pro Allroad 400 boasts the high torque Bosch Performance CX drive, combined with a high quality and long-lasting 400Wh battery. Long-term precise gear shifting is a given, thanks to a Shimano Deore 9-speed rear derailleur operated by Rapidfire Plus gear levers and driving a wide ratio 11-34 tooth cassette. The Suntour NEX-E25 suspension fork adds both safety and comfort on rough surfaces. 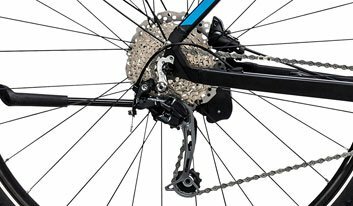 We’ve selected Shimano’s powerful, sensitive BR-M315 hydraulic brakes – with a bigger 180mm rotor up front, for better cooling – to bring you and your bike safely to a halt in all weathers.